Kate Phillips Events has partnered with The Foundry to bring an exciting new event venue option to Central Virginia! The Foundry is a stunning historic wedding and event venue in the beautiful Piedmont countryside just outside of Virginia’s capital city in Powhatan, Virginia. This property features a grand charm, modern amenities, and top-notch cuisine with a hint of old world European style. Focused on providing Southern hospitality, a custom experience, and thoughtful professionalism, The Foundry is prepared to host an unforgettable event for you and your guests. The Foundry sits on over 900 private acres located in the beautiful Piedmont countryside just 30 minutes outside of Richmond, Virginia. 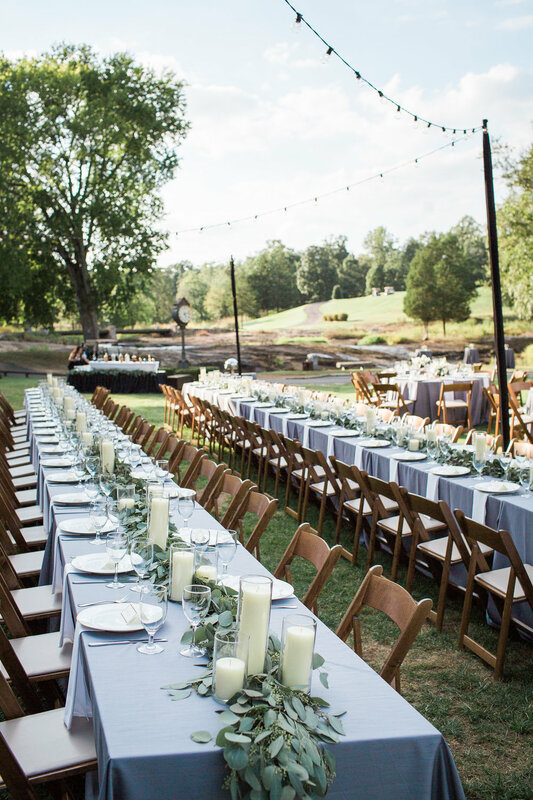 One of the most naturally stunning venues in Virginia, the rolling terrain, native vegetation, and scattered rock outcroppings combine with the meandering banks of Fine Creek to create the perfect backdrop for celebrations. Combined with a stately 3,600 sq ft Clubhouse featuring an impressive stone exterior, warm hardwoods, and tented patio, the venue is ideal for both small and large scale weddings. The Clubhouse was originally built in the early 1800s and has since undergone a complete renovation to feature modern amenities. The impressive stone facade has been restored to its original state for a look of understated elegance. The Clubhouse features an old world European style with original hand-carved fireplace, detailed mouldings, and warm hardwoods. Adjacent to the Clubhouse, The Terrace offers accommodations for larger parties. This 30' x 60' permanent bricked floored, tented space is surrounded by meticulously maintained landscaping with views of Fine Creek. The Carriage House offers unique 18th century architecture and a beautiful backdrop for ceremonies held on the Ceremony Lawn. The possibilities for ceremony locations are endless and we are happy to accommodate any special requests. The Clubhouse emulates a sense of history; the perfect location to host intimate dinner parties and a beautiful ceremony location alternative. The Foundry offers scenic views of Fine Creek from virtually every area of our expansive grounds. Our Upper Lawn, situated above The Clubhouse overlooking Fine Creek is the perfect place to host a large, tented wedding. Additionally, The Clubhouse's Front Lawn, situated adjacent to Fine Creek, is a beautiful space to dine el fresco!